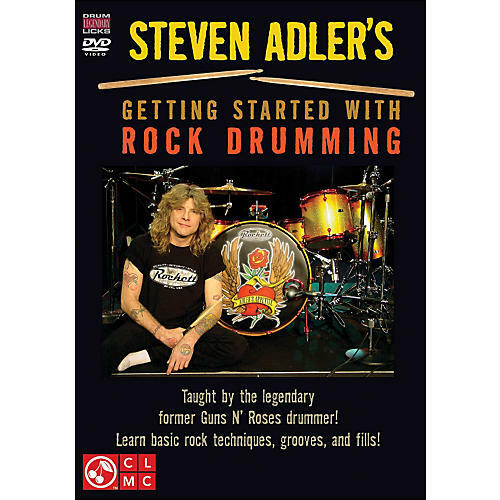 Watch and listen as Steven Adler demonstrates techniques, grooves and fills designed for the beginning rock drummer. He teaches: parts of the drums; the pyramid of rhythms; basic rock beats; rock fills; dynamics and more, discussing his own influences and history with the drums. 43 minutes.